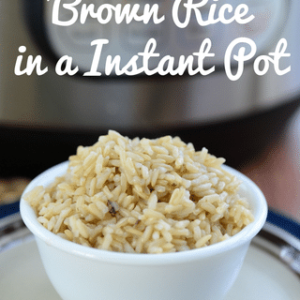 Have you ever made Instant Pot Brown Rice? If you have been battling to try and make the perfect rice, this, my friends is the way to do it. I know that with brown rice, it is sometimes hard to get the soft fluffy texture when you are cooking on a stovetop, but this changes all that! 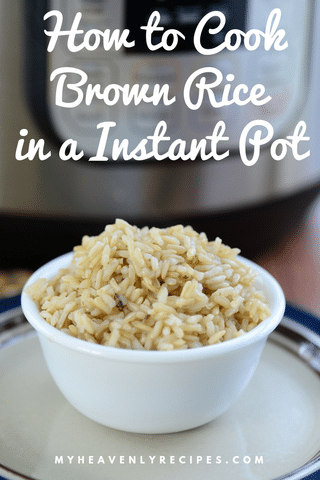 Instant Pot Brown Rice is delicious on its own, but it makes a great side dish and ingredient too. I love using it in fajitas, in stir-fry, and in rice casserole dishes. It works for so many things! 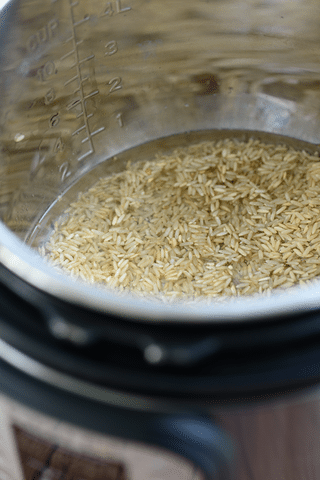 Making this Instant Pot Brown Rice is also a good idea if you like to meal prep. Just gather your food prep containers, fill them with a protein such as chicken, some veggies and your delicious brown rice and you have meals for the week! This will save you so much time! 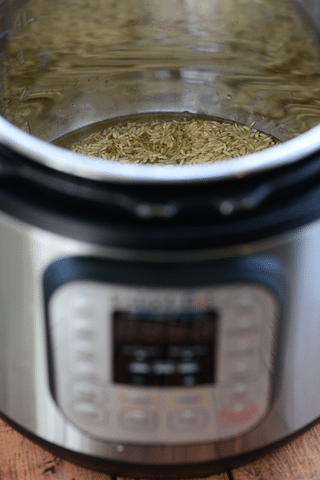 How long does brown rice take to cook in instant pot? 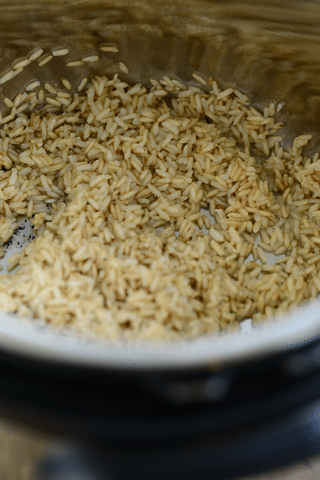 Instant Pot Brown Rice takes less than 35 minutes start to finish and you will have incredibly fluffy, tender rice. That is much quicker than you will find on the stovetop. For added flavor, replace the water with chicken broth. You can add any seasoning of your choice to the Instant Pot at the beginning of the process. HOW DO I COOK BROWN RICE IN MY INSTANT POT? Rinse rice under cold running water until the water runs clear. Add oil to the Instant Pot along with the rinsed rice (still damp), water and salt. Lock the lid and set the steam valve to its “sealing” position. Select the “PRESSURE COOK” button set for 23 minutes. Allow the pressure to release naturally for 10 minutes and then release any remaining pressure. 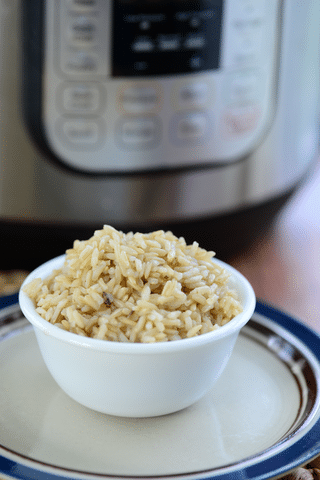 The perfect side dish for countless meals, this Instant Pot Brown Rice will become your new favorite.